When considering the sale of your home, the first question that usually arises is "How much is my house worth?" Your house is worth whatever someone is willing to pay for it. Unfortunately, this is not the answer most people are looking for. Fortunately, there is a way to property estimate the potential worth of your home or property. This method, called the comparative analysis method or CMA, uses information from recent sales of homes in your area to estimate it's value. Markets change and today's hot property could be a slow seller tomorrow. On the other hand, you may find that your house is worth far more than you think. In a normal market, we have found that if your house is property advertised and represented by a professional full time realtor and does not sell in 6 months, it is probably priced too high. The secret to selling a properly priced home in a timely manner is "market exposure". This means that we need as many people helping us sell your house as possible. When we list your property we will enter your home into the Florida Property Multiple Listing Service database, MLS for short. This places your home in a searchable database where everyone can find it. Until very recently, the MLS system was only accessible by Realtors who paid for the use of the system. Now, thanks to the Internet, everyone can search for property on their own. 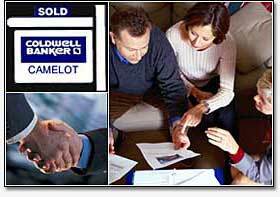 Upon listing your home into the MLS, we begin the marketing process. In today's market, we rely heavily on the Internet to sell homes, but as we also utilize many tried and proven marketing methods such as direct mail advertising, Print, TV advertising and Brokers and Public Open-House events. Sellers are given frequent update reports on the progress of their sale and feedback on adjustments that need to be made. We are paid only if we sell your property. Judy Kelley is one of the most knowledgeable and successful Realtors in Mount Dora. For over 10 years, she has helped hundreds of home buyers sell their homes for top dollar. Judy returns phone call promptly, is a member of the Relator's Ethics Board and a detail crusader. If you would like to utilize Judy as your Realtor or have questions about Mount Dora Real Estate, please contact her though this website.